Today, we’re happy to announce the integration of the Journal of Paleontological Techniques (JPT) onto our platform! This journal is all about sharing and opening up the methods that palaeontologists use in their day-to-day research. So if you love Jurassic Park and dinosaurs, this collection is perfect for you! All articles are Open Access, which means they are free to read, share, and re-use by anyone. Dinosaur frauds, hoaxes, and “Frankensteins” – Dinosaurs and other fossils have been artificially enhanced, or totally forged, to increase their commercial value. Here, several techniques are suggested for detecting hoaxes. How to prepare a stegosaur, Portuguese style – Take one monolith jacket, one electric grinder, and a lot of elbow grease, and voila! That’s how you get a dinosaur prepped for science. You’re only supposed to blow the bloody rocks off – When splitting stones fails, bring out the drills, crane trucks, and demolition experts. All in the name of science, of course. Firing lasers at amber – Particles included in amber fluoresce when you fire a laser at them, and are highly diagnostic of their provenance. Useful! Because everyone wants/needs their own sieving laboratory – Sieving is a great and cheap way of getting lots of fossils from sediment. Now you too can sieve for dinosaurs! 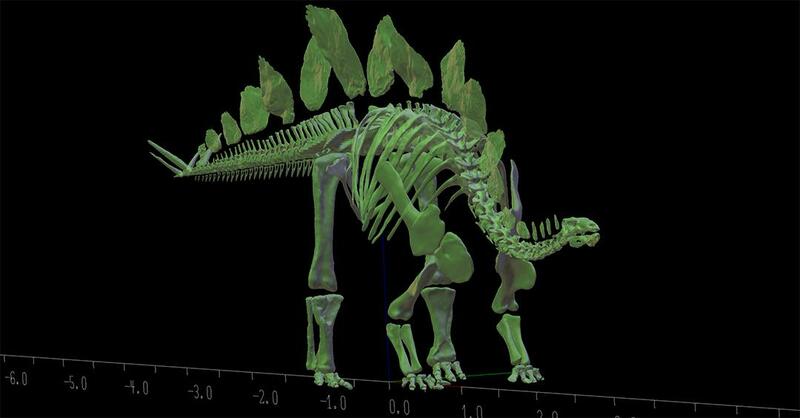 Digitising dinosaurs – Preserving dinosaur fossils is important given their fragility, and using a range of digital techniques this is becoming more and more possible. Want to print your own dinosaur? – This article will teach you how to prepare freely available 3D scans in order to print them out! We already have a LOT of palaeontology research on our platform, with 4,600 articles on dinosaurs alone. We have researcher-led collections on ceratopsian dinosaurs, and the evolution of crocodylians, with ones on archosauromorphs and phytosaurs on the way too! Any of these articles can be shared, recommended, commented on, or even peer reviewed and integrated with your ORCID and Publons accounts. That’s a great way to make an impact as a researcher! If you want to build your own research collection, see here. If you run an APC-free Open Access journal, see here for details on getting indexed on our platform. For all other journals, please contact us directly here!